Metropolitan Industries is proud to assist the Local 130 Plumbers Union to train apprentices through hands on educational programs throughout the year. This year we have had the privilege of training over 100 apprentices for half-day classes. Each class focuses on proper maintenance and repair of pumps and control equipment. Topics discussed include: safety, record-keeping, basic control panel circuitry, data acquisition and basic troubleshooting. 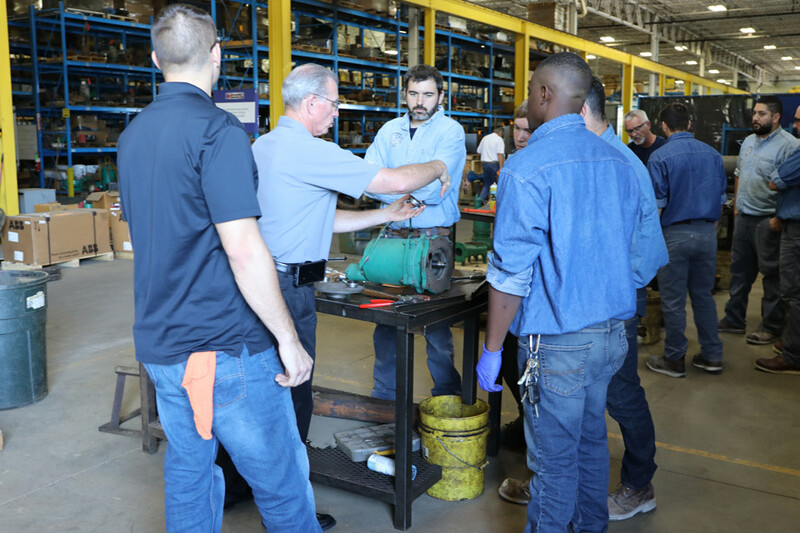 Participants review the working of basic control panels, disassemble large pumps and learn about the Ion Technologies product line which includes residential sump pumps, battery backups and control solutions. We look forward to continuing the partnership with the Local 130 Plumbers Union. Interested in Attending One of Our Training Seminars? Please continue to our Training Seminars section to view all upcoming classes or contact Melissa Young at 815-886-9200.